Like her mother, Mikella became an artist. She struggled for several years until an East coast book publisher hired her to illustrate children's books. 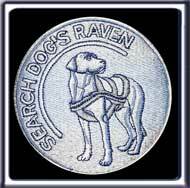 The money isn't great, but the flexible hours are essential for a search dog handler. Mikella's stepbrother Albert taught himself computer animation. With training in computer programming, he is developing a new animation software able to paint moving objects across multiple frames. 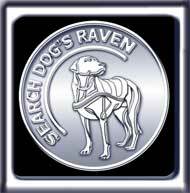 Working as the team 'Dog's Raven', Mikella and Ebbey began volunteering with the local sheriff's search dog unit. 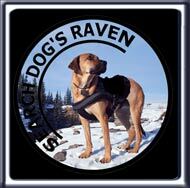 Their find ratios were dismal for the first two years, but with her stepfather's help, 'Dog's Raven' soon became Mountain Wind's best trackers. By Mikella's twenty-second birthday, she and Ebbey were the lead search dog team in North West Montana. Regional media outlets have their photos on file and several of their finds have received national coverage. Working with her new search backup liaison JESSE most people are very supportive of Mikella and Ebbey. Just not everyone. Despite Dog's Raven's success, and despite Mikella's best efforts, there is no pleasing the local sheriff Ned. If he isn't yelling at Mikella, he's griping about her dog. Mikella never understood why until the day before her twenty-sixth birthday.